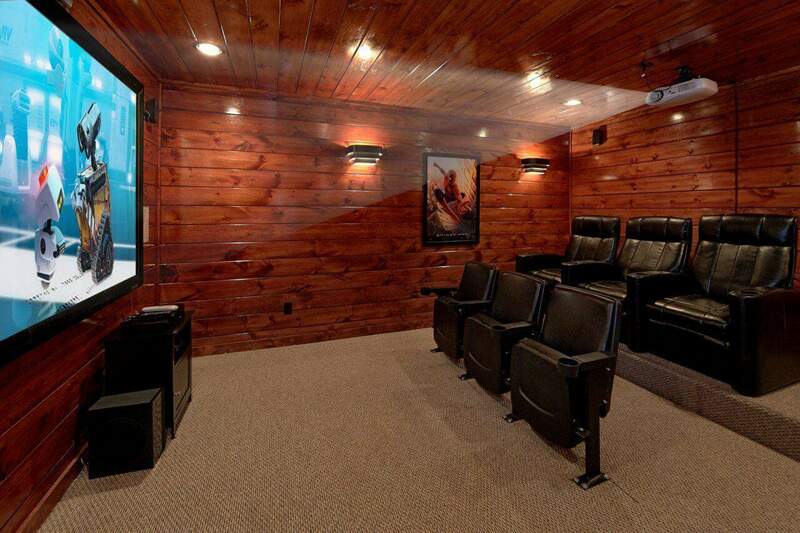 Watch a movie in your own private home theater room with surround sound. 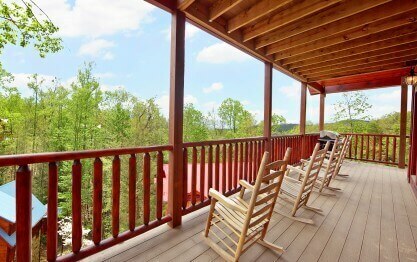 Enjoy an evening relaxing on your rockers on the covered deck. 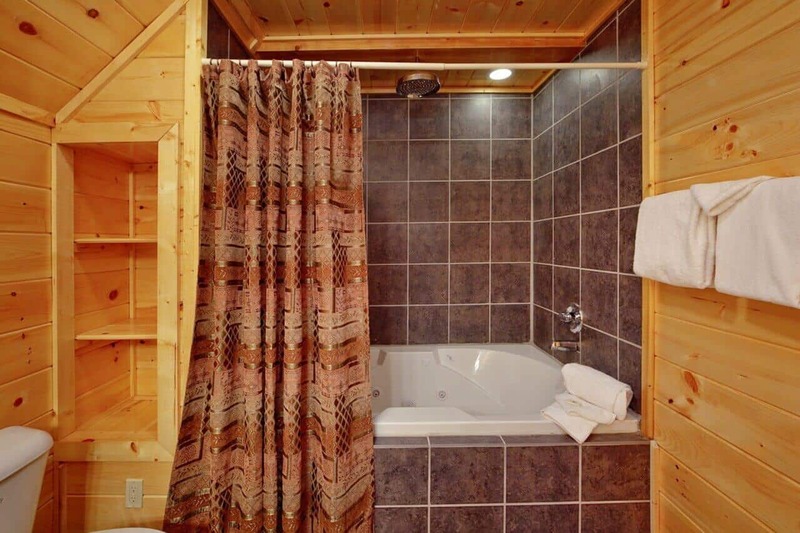 Stretch out in one of the king master suites with jacuzzi tub and rain shower. Relax your muscles in the sauna room or while sitting in your hot tub. Or gather inside in the living room with vaulted ceilings and corner fireplace with flat screen TV. 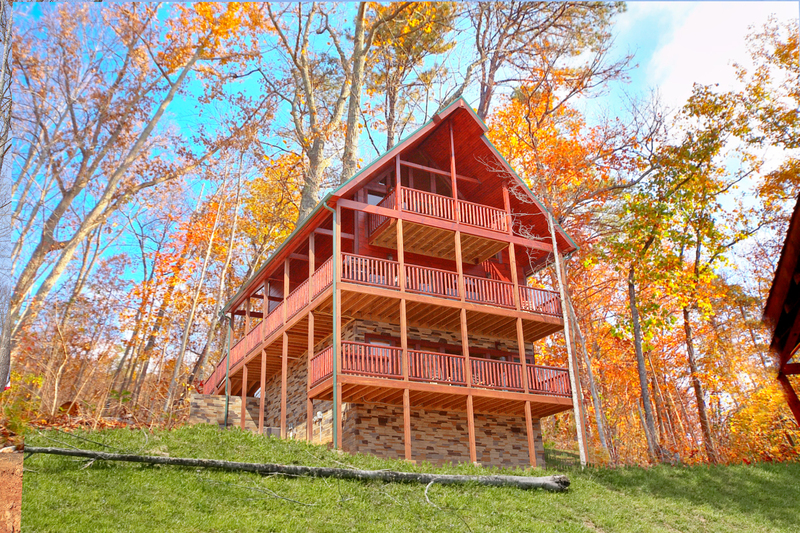 The 3 bedroom Summit Sanctuary cabin in Gatlinburg at Elk Springs Resort has so much to offer. Access into the cabin is made easy with flat parking and a small grassy area at the entrance, and a ramp to enter right into the main level of the cabin (no steps). 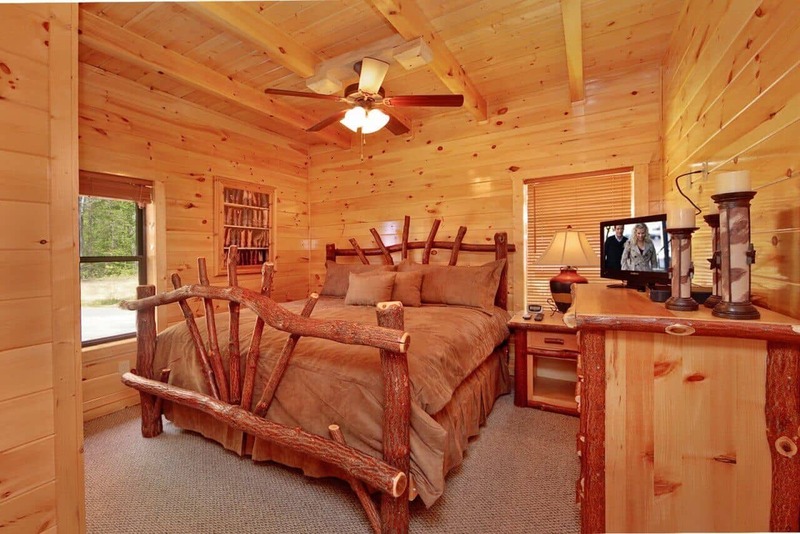 The master bedroom, located on the main level of this mountain sanctuary, features a king size bed, upgraded bedding, TV and DVD player, jacuzzi tub and rain shower. The main level also includes a great room with 28 foot vaulted ceilings looking up into the loft area. 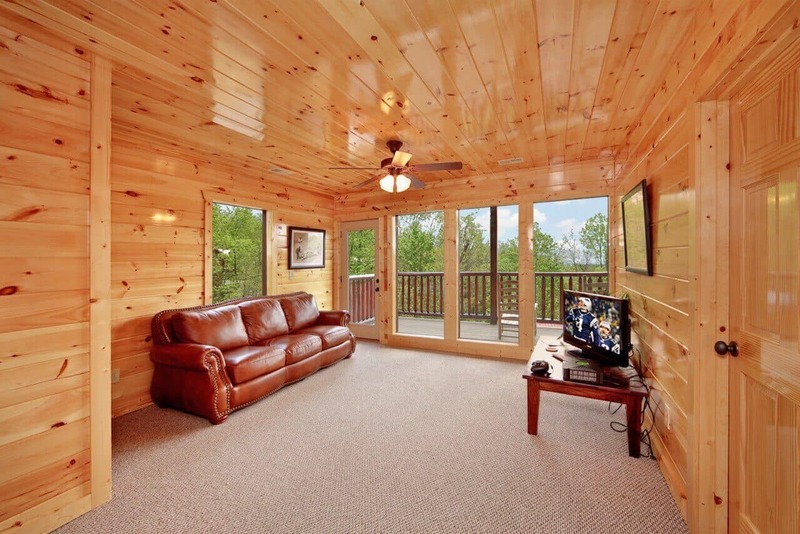 In the great room of this Gatlinburg cabin rental you can enjoy sitting in front of the gas fireplace on the upgraded leather furniture. A flat screen TV with DVD player includes 90 channels of digital cable. 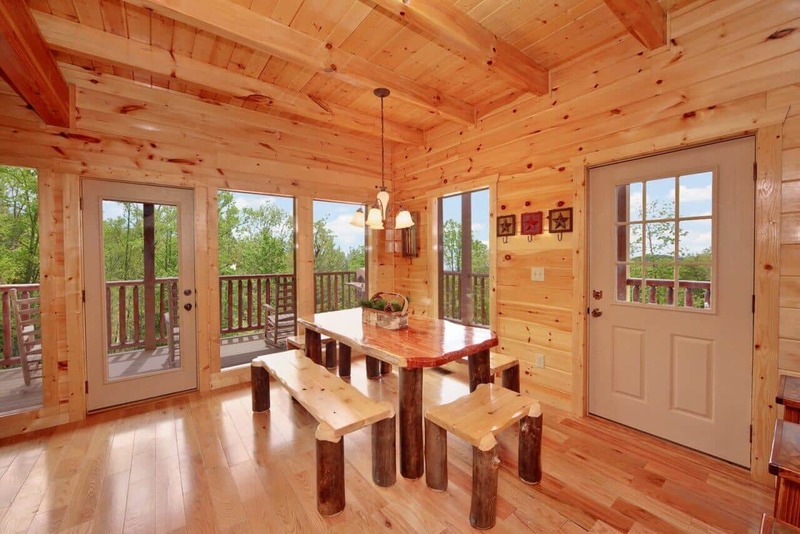 The adjoining dining area with rustic cedar table and breakfast bar provide plenty of seating - all of which are surrounded by glass so you can enjoy the views of the outdoors. A full kitchen with upgraded cherry cabinetry, stainless steel appliances, dishwasher, microwave, blender, toaster and mixer as well as pots and pans and cookware to prepare in cabin meals. Just outside the dining room is a gas grill for your convenience. Head upstairs to the loft and you will find a full size pool table as well as a private upper deck sitting area. A perfect spot to get away, enjoy the view and perhaps read a book or have some morning coffee. The upper level master king suite includes a private bath with jacuzzi tub and rain shower with plenty of room. Head downstairs and thats where the fun begins. A central sitting area with sleeper sofa and flat screen TV is great for the kids. 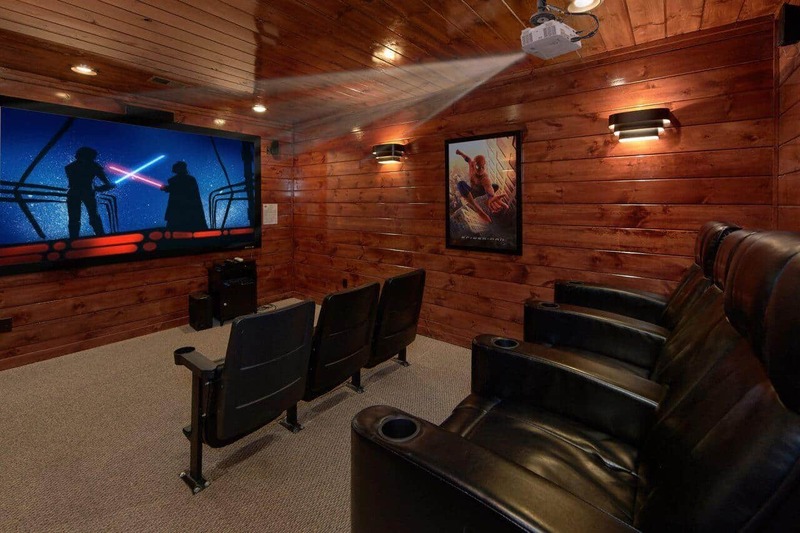 A home theater room with tiered theater seating for optimal viewing as well as a 9 foot theater screen with surround sound. Amazing! A full bath and bunk room with queen over queen bunks best suited for 4 kids, but comfortable for 2 adults is also on the lower level. Finally, you own private sauna is also on the lower level. A washer and dryer as well as FREE wifi is included. This was my first time ever staying in a cabin so I was a little hesitant about it. The staff was very professional. They were able to recommend the best size cabin to fit everyone in my party and sti…ll keep my budget in mind. and they sent all the information I needed in a timely manner as far as contracts, directions,etc. On check-in day, the cabin was ready before our check-in time, everything was nice and clean. Our stay was amazing. Check out was easy. I loved the fact we didn't have to report to an office for either. I am definitely looking forward to staying at this location again and would recommend them to friends and family. Thank you for taking the time to share your wonderful experience with us, Latasha! We are delighted to hear you enjoyed your stay. We strive to provide exceptional service throughout every aspect of your experience. It sounds like we succeeded! We enjoyed having you as our guest and hope you will consider staying with us again in the future. We encourage guests to book direct and save up to 15% on your booking. "Beautiful Cabin in a Great location!" We vacation Gatlinburg/Pigeon Forge every year Spring Break and this was the Best place we had yet. Very Professional, nice and they got back with us VERY quick! Loved it and wish we could have stayed longer. Thank you for your fantastic 5-star review, Jerry! 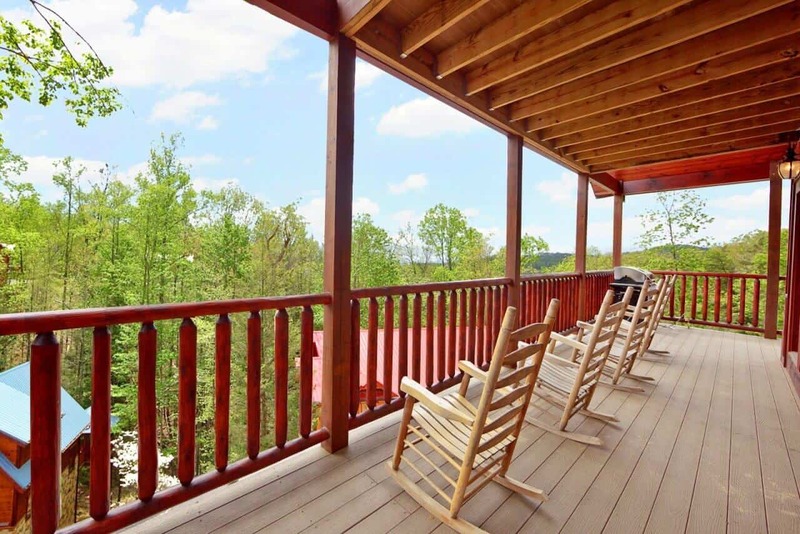 Summit Sanctuary is a beautiful cabin with lots of amenities, and the location is perfect for accessing downtown Gatlinburg or The Great Smoky Mountains National Park. We hope you will choose to visit us again on your next trip to the area. We encourage guests to book direct and save up to 15% on your booking. We are pleased to hear you had a great visit, Jose! We hope you will make plans to visit with us again on your next trip to The Smokies. Please keep in mind, as repeat visitors you will enjoy 10% off all future bookings. Hurry back, new memories are waiting to be made! Thank you for your wonderful 5-Star review, La'tocshia! We are excited to hear you enjoyed your stay. We enjoyed having you as our guest and hope you will consider staying with us again in the future. Please keep in mind, as a returning guest you will enjoy 10% off all future stays. Hurry back, your next adventure awaits! Labor Day weekend stay was wonderful. We love staying in the Elk Springs cabins. 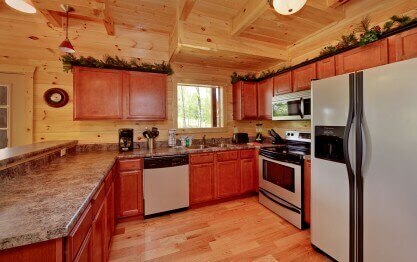 They staff is attentive, the property is beautiful, the cabins are modern, exceptionally well cared for and clean. We h…ighly recommend the cabin. It was perfect for our family of four. We will definitely be back. We appreciate your business and your wonderful review, Jennifer! You certainly chose the perfect cabin for your family to relax and create lasting memories together. Summit Sanctuary is full of top-notch amenities for everyone to enjoy. We look forward to your next visit with us. Don't forget to mention you are a repeat customer to receive 10% off your next booking. Hurry back! Loved the central location to both the national park and for our one day in Dollywood. Cabin was clean and as pictured online. Check in and out process was quick and smooth. If you're looking for priv…acy this is in a complex with many other cabins but we knew this ahead of time because it's well advertised and it didn't bother us. Will definitely consider a return trip with Elk Springs! Thank you for your kind review, Clark! We are happy to hear your stay was exceptional. We enjoyed having you as our guest and would consider it an honor for you to stay with us again in the future. We had a great time in Gatlinburg! The cabin was amazing, I just wish we were there longer to enjoy everything that it had to offer! Definitely ready to come back! Thank you for your fantastic 5-star review, Alyssa! It is a pleasure to hear you enjoyed your recent cabin stay. Summit Sanctuary is certainly the perfect cabin to relax and enjoy top-notch amenities throughout your visit. We look forward to your next visit with us, and don't forget to mention you are a repeat customer to receive 10% off your next booking! Great time! Cabin very clean, roomy and convenient to everything the area has to offer. We went to Dollywood, dinner shows, white water rafting, played in mountain streams, and enjoyed the beautiful s…cenery of the Smokies. 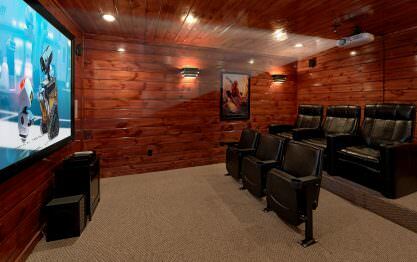 The theater room was awesome & wish we had more time to just enjoy that. Check in/out couldn?t have been any simpler. We?ll rent from Elk Springs when we come back. We appreciate your business and your fantastic 5-star review, Suzanne! It is a pleasure to hear that you enjoyed your recent visit to Summit Sanctuary. 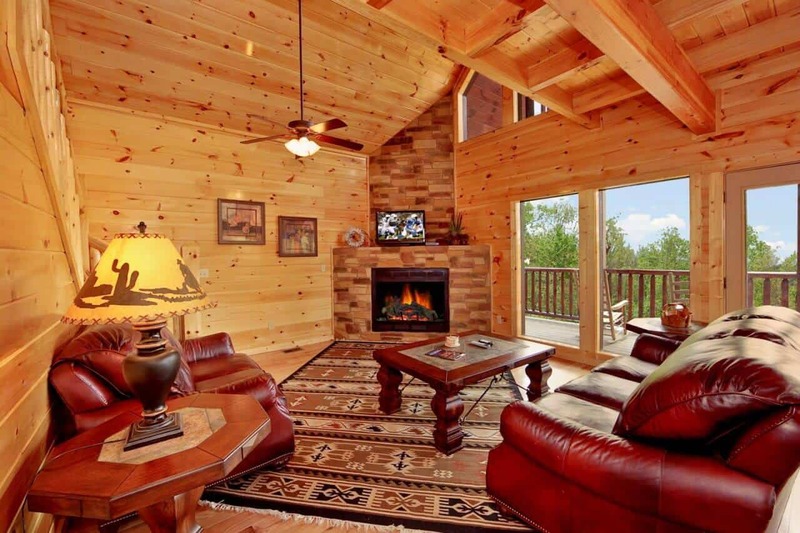 With top-notch amenities and beautiful mountain scenery, it is perfect for a family getaway. We are glad to hear that you enjoyed our area and the attractions that it has to offer. We look forward to your next visit with us. Hurry back, new memories are waiting to be made! "Summit Sanctuary lives up to it's name!" Summit Sanctuary cabin was as advertised. A nice sanctuary to return to after a day of exploring Gaitlinburg or a nice place to stay and relax or enjoy family time! Thank you for your great review, Michele! It is fantastic to hear you enjoyed your recent stay at Summit Sanctuary. 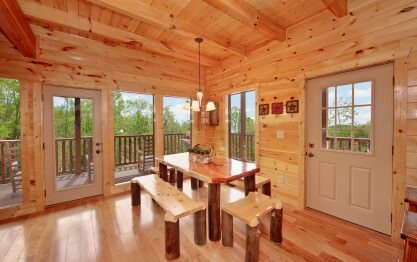 You certainly chose a great cabin to relax and unwind from the hustle and bustle of everyday life. We hope you will make plans to visit with us again very soon! Thank you for your loyalty to Elk Springs Resort, Portia! As always, we love hearing about great family experiences. We are pleased that you and your family had such a great time at Summit Sanctuary and hope you will make plans to visit again very soon. My family and I had a great time. 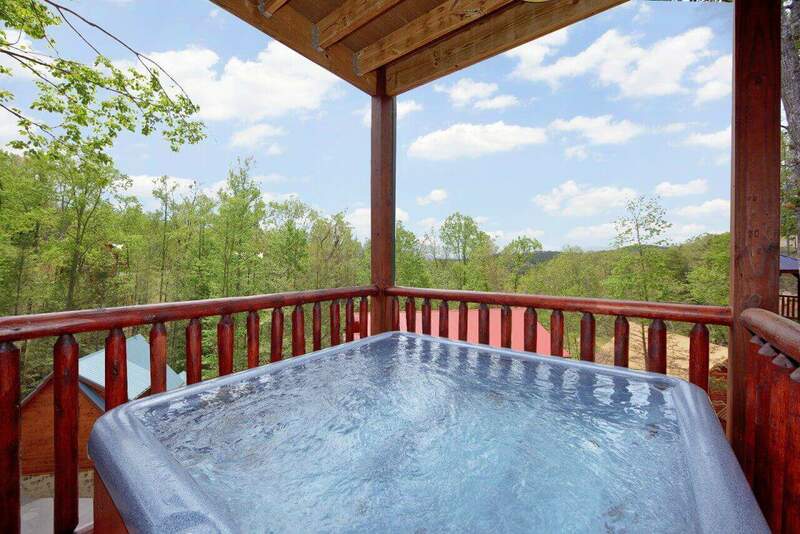 Elk Springs resort is very nice and in a great location near town but not too close and the surrounding cabins are nice as well, overall, a nice little community of …rentals. We are definitely planning to stay again. This time we may go bigger and not leave the cabin at all! Elk Springs were great about keeping us informed about weather conditions and the cabin was very clean when we arrived. Thank you for a pleasant stay! Thank you for allowing us to be a part of your successful family retreat, Jenny. We are so pleased that you enjoyed your stay at Summit Sanctuary. 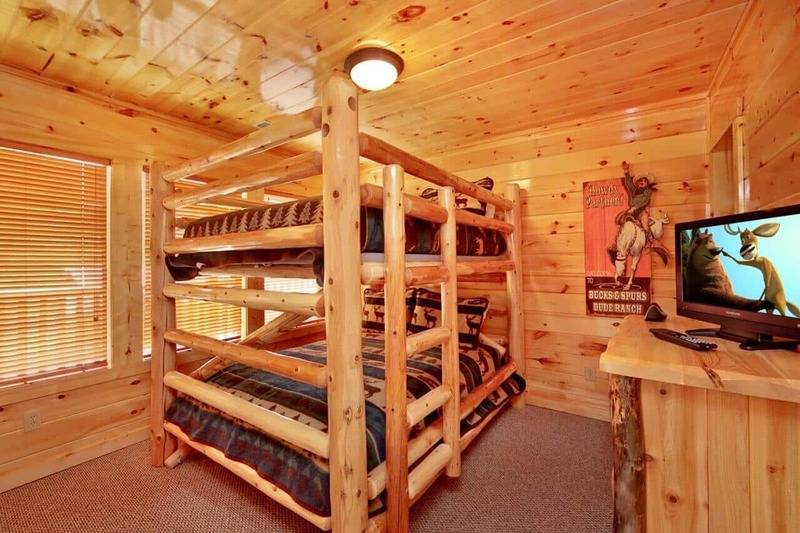 You certainly chose a great cabin with a great location and top-notch amenities for the entire family to enjoy. We will be happy to assist you with your plans for a future visit. One of our experienced Sales Representatives will be happy to help you find a cabin that will not only meet, but exceed your expectations. Don't forget to mention that you are repeat customers and you will enjoy 10% off your next booking. Hurry back, new adventure awaits! Everything was wonderful. 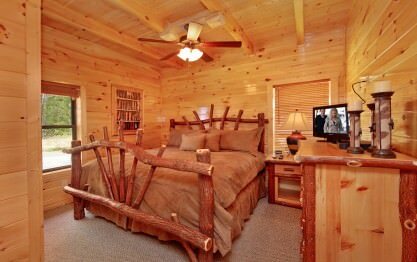 Summit Sanctuary is a beautiful, well cared for cabin. My family and I will return. Thank you for your wonderful review, Crystal! We are delighted to hear your stay was exceptional. We enjoyed having you as our guest and hope you will consider staying with us again during your next visit to Gatlinburg. Please keep in mind, as a returning guest you will enjoy 10% off all future stays. Hurry back, your next adventure awaits! "Christmas At the Summit Sanctuary"
This place was everything we expected and more. It was spotless clean upon arrival. I brought dishes from home that I didn't need, they had everything needed to prepare, cook, and bake. I was worried …about the checkin process but it was not a problem, we got the code a hour before arriving. It was an awesome experience and me and my family will definitely be back to create more great memories! Thank you for your fantastic review, Rico. We are pleased that you enjoyed your recent visit at Summit Sanctuary. 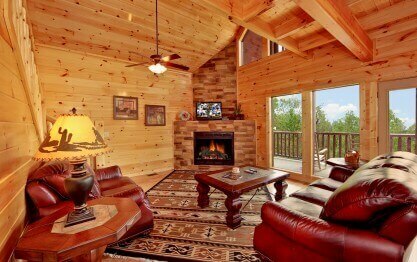 You certainly chose a great cabin to relax and enjoy some time away. It was our pleasure to provide you with luxury accommodations and we hope that you and our family will make plans to visit us again very soon. Please keep in mind, as repeat customers you will enjoy 10% off all future bookings. Hurry back, new adventure awaits! More than enough room and great amenities. The kids absolutely love the movie theater and is a good way to end a busy day in Gatlinburg and pigeon Forge. foreign up in amounts to get away from it all …but close enough to Gatlinburg to be down there in 10 minutes. We are pleased to hear that you enjoyed your stay in Summit Sanctuary. As always, we love hearing about wonderful family experiences. It is our pleasure to provide you with a wonderful cabin getaway experience and we hope you are already considering a future stay! Thank you for allowing us to be a part of your family vacation, Jennifer! We are delighted that you enjoyed your stay in Summit Sanctuary. 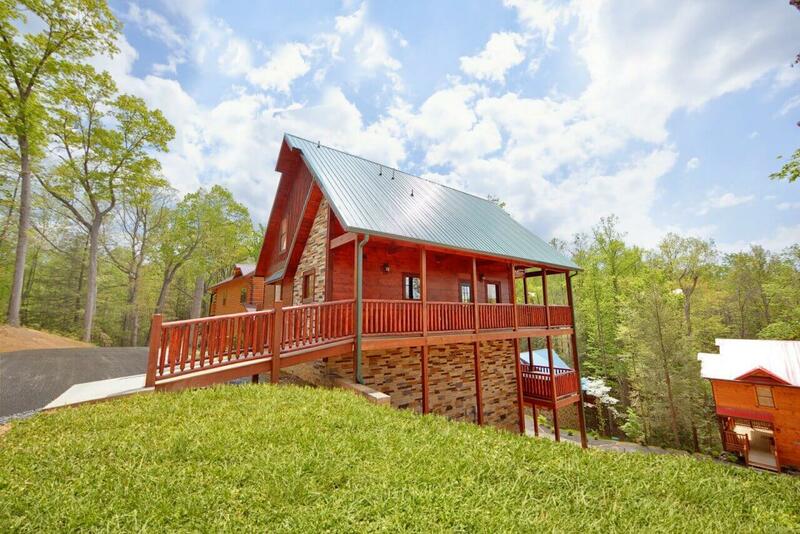 This cabin is definitely a wonderful place to create lasting memories together. We hope you will join us again during your next visit to The Great Smoky Mountains! "We fell in love with Summit Sanctuary"
My family and I have stayed in other cabins in Gatlinburg, however we really loved this cabin. Whenever we come back we will always go with Elk Springs Resorts. Thank you for the experience. Thank you for allowing us to be part of your family vacation, Carolyn! We appreciate your feedback and will strive to ensure that each visit is exceptional. Please take advantage of your 10% repeat guest discount at the time of your next booking. Hurry back, more memories are waiting to be made! "The place of peace and relaxation. " This place was fantastic to come stay. It was fun for myself and my children. You didn't have to bring any dishes or towels. They even left some dish soap to wash dishes. It was almost like a home awa…y from home. The view from the porch was beautiful in the early morning. So much peace and relaxation you wouldn't believe. The cabin was so clean and neatly organized. I will definitely recommend and go back. Thank you for your kind 5-star review. It is our pleasure to provide you with a home away from home cabin getaway experience. We are pleased to hear that you enjoyed some much needed rest and relaxation while making memories with your children. Please consider a return trip to Elk Springs Resort. All repeat guests receive a 10% discount on future bookings! I've live near Memphis for almost 12 years and this was my first time but not my last!!!! I LOVE ?? Elksprings Resort!!!! Thank you for allowing us to be a part of such an amazing Spring Break get-away, James! We love to hear that your first stay with us was exceptional. We would consider it an honor for you to stay with us again. Please keep in mind, as a returning guest you will enjoy 10% off all future stays. Hurry back, new memories are waiting to be made! We enjoyed all the space that this cabin offered. The movie room was great! The location is perfect for getting into the Smoky Mountain National Park and into downtown Gatlinburg. Beautiful views from all the decks too! Thank you for your wonderful review, Sara! We are delighted to hear your stay was exceptional. We enjoyed having you as our guest and hope you will consider staying with us again during your next visit to Gatlinburg. Great getaway with two families. cabin was lovely and we greatly enjoyed our stay. theatre was fun and the rainfall showers, hot tub and sauna were fantastic. Thank you for your kind words, Shelly! We are happy to hear you enjoyed your stay. We enjoyed having you as our guest and hope you will make plans to come back and stay with us again! This was as low stress as you can get for a vacation experience! Everything was convenient and exceeding expectations from the check in process to the beauty of the property! Thank you for sharing your wonderful cabin experience with us, Lindsay. We always enjoy hearing from our satisfied guests who enjoyed the 5-star experience we proudly offer. We hope you will come back to the Great Smoky Mountains soon for some more memory making! Your review is music to our ears, Michael! We love to hear how much you enjoyed your stay. It was an honor to have you as our guest, thank you. We hope you will make plans to come back and stay with us often. We hope to see you again soon! Thank you for allowing us to be a part of your family weekend, Walter. We hope many wonderful memories were made during your visit. We hope you will make plans to come back and stay with us often! The cabin was amazing everything in it was luxurious it was spacious and close to everything I would be staying here again. Thank you for your wonderful review, Tiarra! We are delighted to hear your stay was exceptional. We enjoyed having you as our guest and hope you will make plans to stay with us again! Me and my family really enjoyed our stay at the Summit Sanctuary. It was very spacious and clean. My kids really enjoyed the pool table a lot. The location was great; it only took 10-15 min to get …to most attractions. I recommend these cabins for a family get away in the mountains. Thank you for your wonderful review, Makaii! We are excited to hear you enjoyed your stay with us. It sounds like great memories were made. We hope you will make plans to come back and stay with us again during your next to Gatlinburg. We hope to see you soon! Great place to stay!!! Nice vacation for the whole family !! Lots of space and many things to see and do . Thank you for your kind review, Darnell! We are happy to hear your stay was exceptional. We enjoyed having you as our guest and hope you will make plans to stay with us again! "Relaxing and fun Bachelorette weekend"
I had 10 ladies in my group and we stayed at the Summit Sanctuary. We LOVED the cabin, the hot tub, sauna, HUGE rooms and beds... Everything was clean, worked great, the kitchen was fully stocked with… all of the pots and things we needed. I was blown away at how nice this place is. 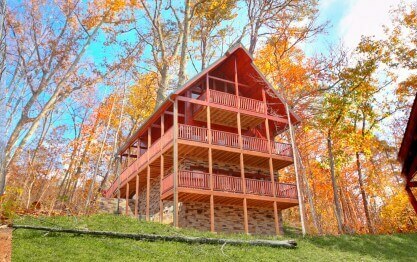 Not to mention the location is perfect for getting to Gatlinburg or Pigeon Forge. I would recommend this to anyone, I definitely plan on going back. Thank you for allowing us to be a part of such a wonderful celebration, Alesha! We are happy to hear that Summit Sanctuary exceeded your expectations. We hope you will take the opportunity to come back and visit with us as often as you can. We hope to see you soon! "I would give our stay at Elk Springs a 5 star! We will be coming "
Everything viewed in the pictures is very accurate. It was nice and clean when we arrived. We even got to get in our cabin early! We didn't do much because there was so much to do in the cabin. Fun for all ages! Thank you for your 5-Star review, Kylie! It sounds like great memories were made. 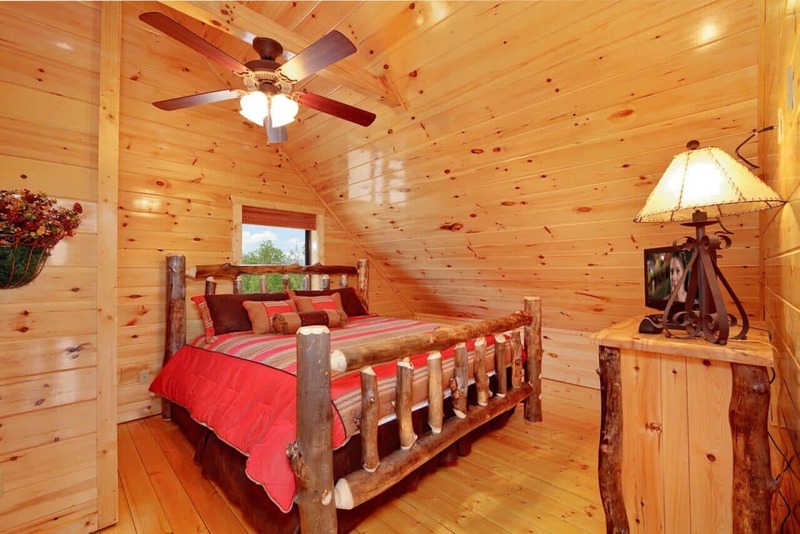 Our goal is to provide you with a cabin that will offer the top-notch amenities you come to expect while staying with us, yet will make you feel at home from the moment you walk through the door. It sounds like we succeeded! We hope you will make plans to come back and visit with us often. Don't forget to mention that you are a returning guest to enjoy 10% off all future stays. Your next adventure awaits! Wow! Thank you for sharing your experience with us, Liliana. We love spoiling our guests! We hope you will consider making Summit Sanctuary your new home away from home when visiting our beautiful Great Smoky Mountains. Come back and see us soon! our stay was great. This was the best idea for Christmas. We will do this every year. Thank you for choosing Summit Sanctuary to celebrate such a special holiday. We here at Elk Springs Resort appreciate the opportunity to be a part of such a magical time of year. Please contact us when you are ready to start planning your new annual tradition. The cabin and surrounding area was beautiful and well kept. We had a great time. The staff was very friendly and responsive. We had one issue with our internet connection late Saturday. I called a…nd they were there in minutes to fix it. Definitely coming back next year! Thank you for your wonderful review, Kathy! We certainly agree! 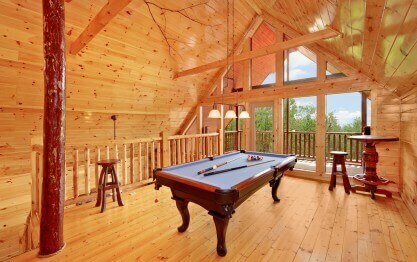 Summit Sanctuary is definitely a beautiful cabin. We are happy to hear your issues were resolved and you enjoyed your stay. Please keep in mind, as a returning guest you will enjoy 10% off all future stays. Summit Sanctuary is a top notch home away from home!!! Even though I was able to see, through pictures, where I was going to spend some valuable downtime, I was blown away when I entered the cabin. 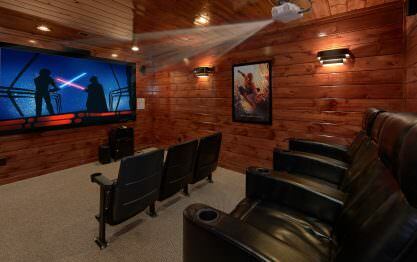 …Everything needed to feel at home and on a luxurious vacation was provided...a home theater, hot tub, sauna, outdoor barbecue, pool table and jacuzzi tubs. I could have filled out days and nights just enjoying the cabin and never leaving. It was out up time and down time!!! We will be back to Elk Springs Resort with our children and our extended family friends. Thank you for your kind words and your wonderful 5 star review, Theresa! We would consider it an honor if you would join us during your next visit to The Great Smoky Mountains. Please take advantage of your 10% repeat guest discount at the time of your next booking. Hurry back, more memories are waiting to be made! We had an absolute ball!! This place is a great place to get away with your extended family(smile). It accommodates adults and children. We will be returning for hopefully a longer stay!! Thank you for allowing us to be a part of your family vacation, Jeanee! We are delighted that you enjoyed your visit at Summit Sanctuary and hope you will visit with us again in the near future. Loved the cabin. Couple of minor issues but they were addressed right away. Everything was in good order, bedding very comfortable, good water pressure, loved he theater room, hot tub and sauna. Sp…ent a lot of time on the balcony. Always felt safe and secure in the area. Will definitely come again! Thank you for the 5-star review Stacie! We are pleased to hear that you had a great time relaxing and enjoying some time away from every day life. There is no better place for making memories than the Great Smoky Mountains! We loved staying in Summit Sanctuary. It was perfect for 2 families with teens! Loved the theater room and cooking on the new grill! Great location with restaurants and grocery stores nearby and cent…rally located to whitewater rafting, Gatlinburg and Dollywood! We enjoyed every minute of our stay and the staff at Elk Springs were great to work with. We will definitely be back! Thank you for the kind review Kristy! We are pleased to hear that your cabin experience was perfect! There is so much to do in this area and our resort is located just a short drive from all of the main attractions. Hurry back to make more mountain memories soon! Super clean, super nice. Can't wait to go back. Thank you for sharing your 5 star cabin getaway experience with us! Customer satisfaction is very important to us and we strive to make sure every guest has nothing but an amazing vacation! We appreciate your business and look forward to your return stay with us! "Beautiful Cabin for Our Wedding Guests!" We rented Southern Philosophy, Misty Mountain Lodge and Summit Sanctuary for our wedding ceremony and reception. All of our guests said it was the most beautiful wedding that they ever attended! T…he staff was very accommodating and helpful, offering their assistance with any last minute needs! We could not have asked for a better location! The property was perfect for a 40 x 20' tent and our 85 guests! Summit Sanctuary was a weekend to remember for our close friends attending the wedding! They were amazed at the beauty and elligance of the cabin! Every one of them have made plans to go back!!! We rented the three cabins for our famiies and close friends to stay for the weekend, which was close to 40 people! . Everyone had a wonderful time during their stay, not only enjoying the ceremony but all the offerings of the cabins! From pool tables and theater rooms to saunas and hot tubs, Elk Springs Resort is top notch! No comparison to other rentals in the area! If you're looking for a fun, relaxing weekend away, or an excellent spot for a moderate sized wedding, you've found it! Thanks to all of the staff for making our special day better than imagined! Thank you for allowing us to be a part of such a wonderful celebration! We are delighted that you and your guests were all pleased with your stay here. That we exceeded your expectations feels us with joy! We do hope to be a part of your anniversary plans for years to come! We had a great time during our stay and the cabin was excellent. Best time every...Children didn't want to leave...Booking another stay real soon! We visited during a holiday weekend. We enjoyed our vacation home very much. The cabin was very roomy. The kids enjoyed the pool table very much. The theatre room had some issues but were dealt with quickly. Very Clean!!!!!! Will do it all over again !!!!! Great Stay, we had all we needed. Very happy with the management company. This was our second stay at the Elk Springs Resort. The cabins will never disappoint anyone. You get exactly what you see in the pictures. The movie theater and sauna were fantastic. We will be back again. 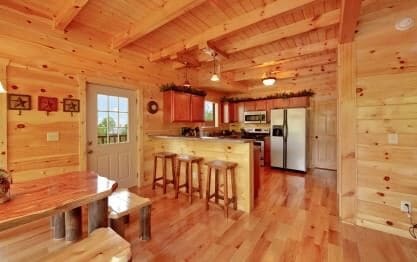 The cabins are beautiful and very clean. The staff is wonderful. P.S I have already replied to other reviews for both Summit Sanctuary and Southern Comfort. This was such a perfect place for my family of 7. We loved all the wood in the cabin. 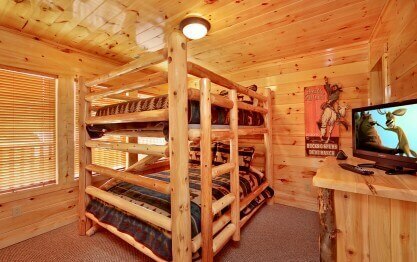 The beds were comfy and the large double sized bunk beds downstairs were perfect for my kids. We also really enjoy…ed soaking in the hot tub. 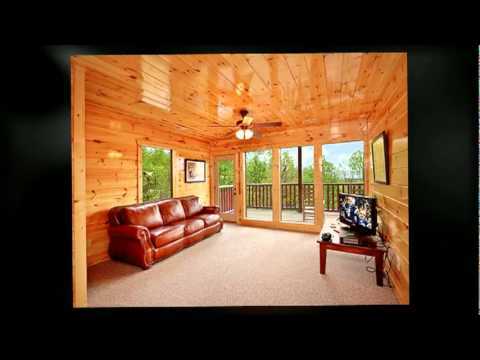 It was a great location being very close to the Smokey National Park and all the attractions in downtown Gatlinburg. We will definitely stay here again when we come back to the area. The cabin was unbelievable. We plan non returning next year and have told everyone we know about our experience. We had a wonderful time!! At first we thought the cabin was going to be far away from Gatlinburg, but it was only a few minutes. The cabin was very comfortable and clean. We all decided we would love …to do another Girls Weekend again with Elk Springs Resort.